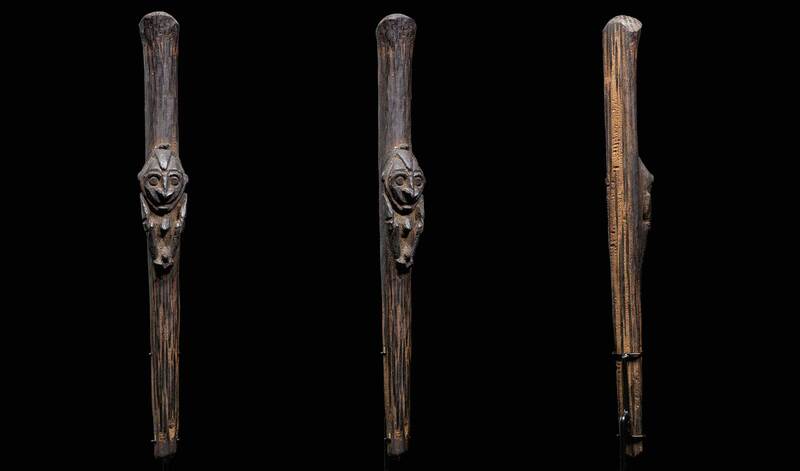 Provenance: Old American collection. 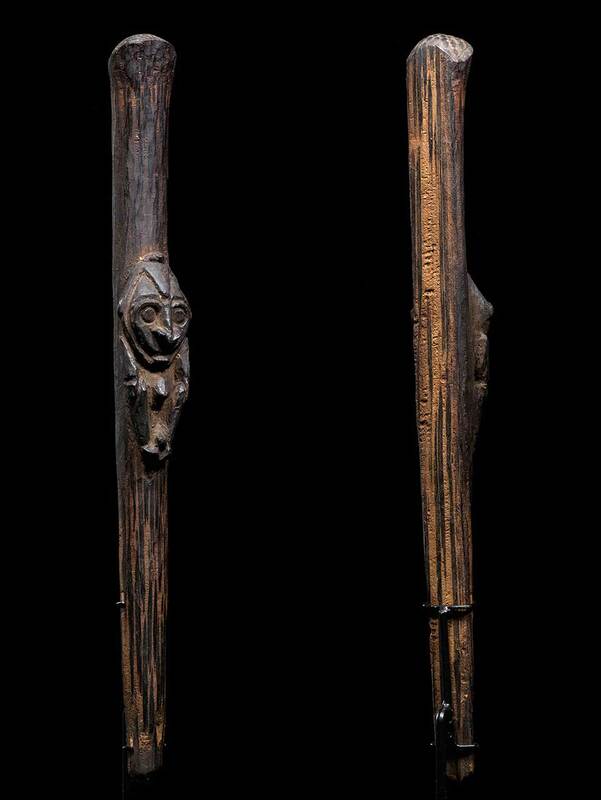 Spears are commonly used for hunting and in warfare, most are unadorned. 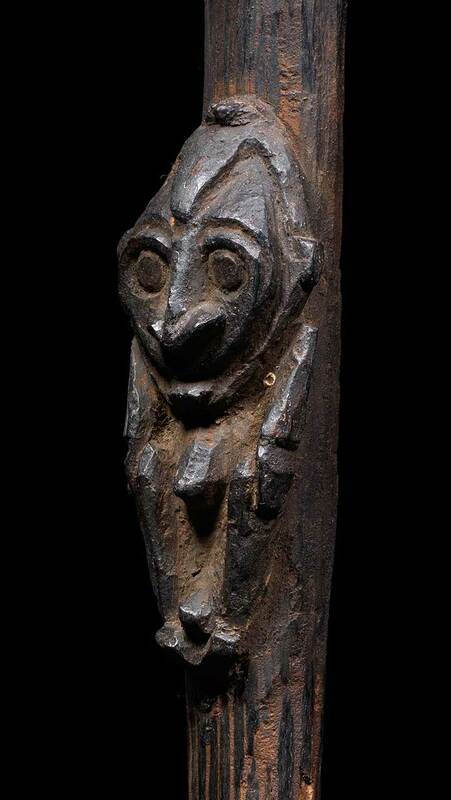 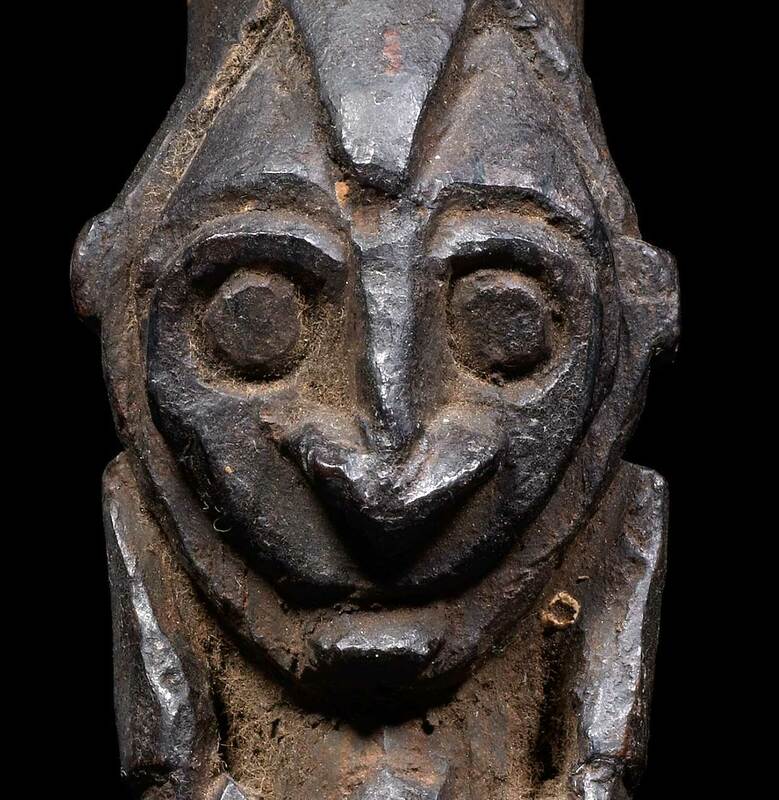 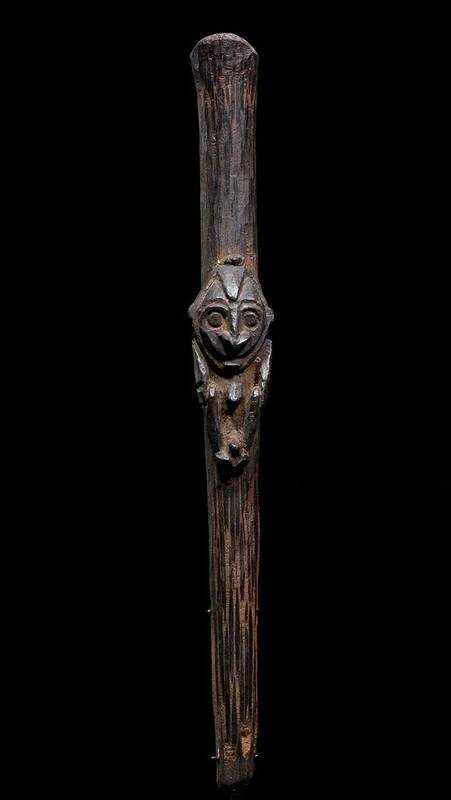 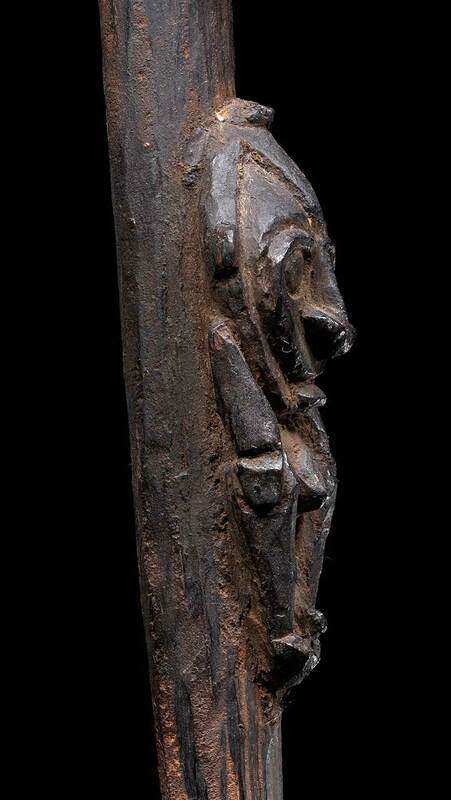 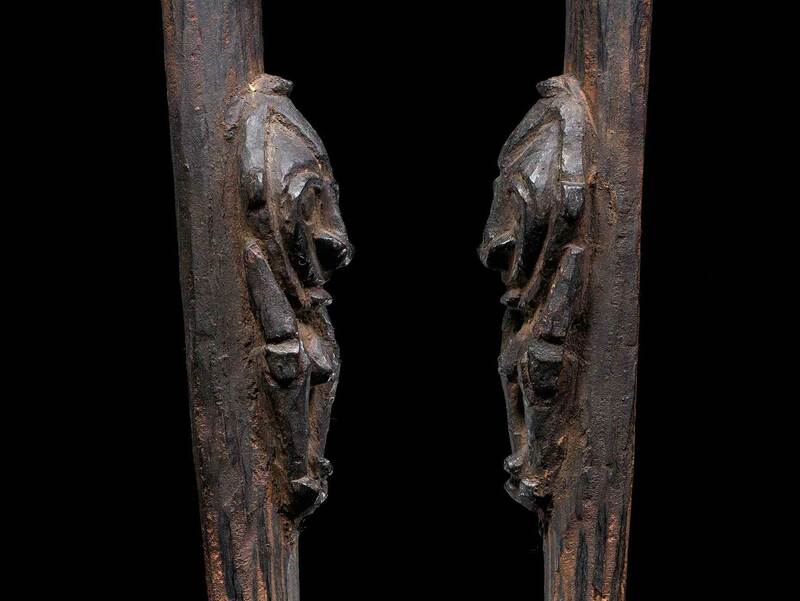 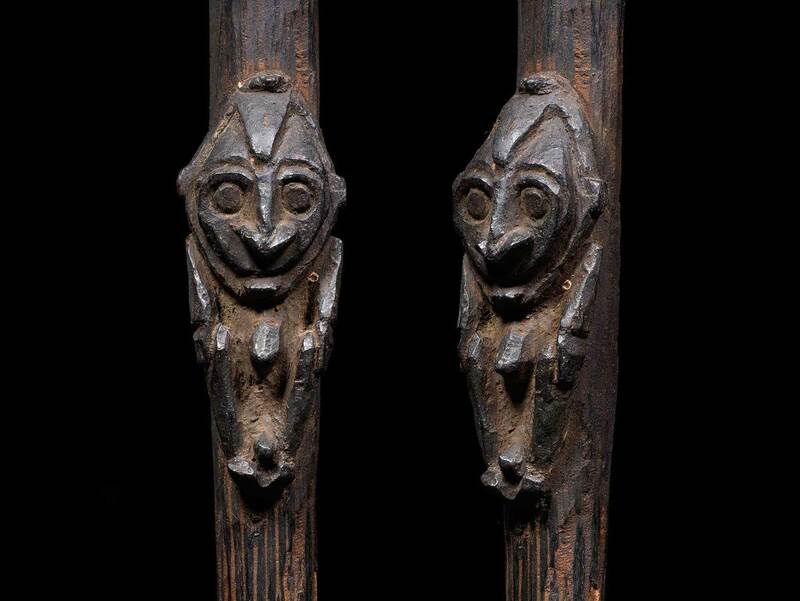 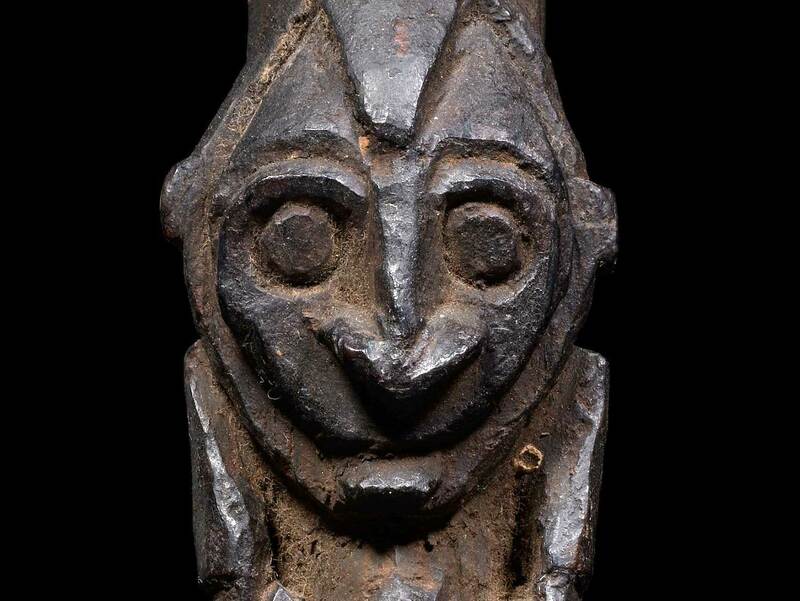 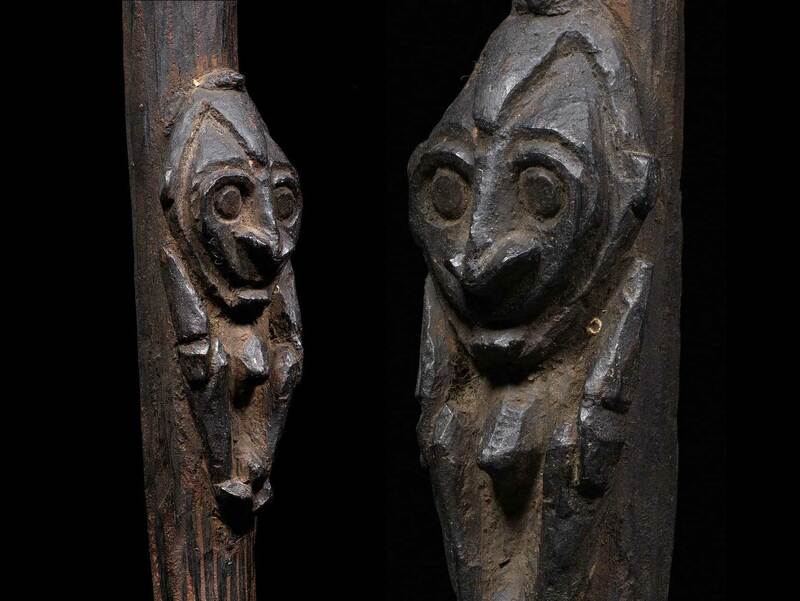 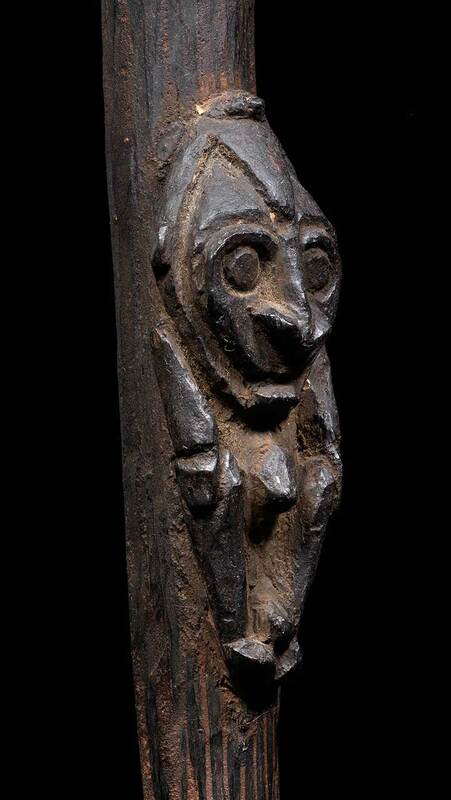 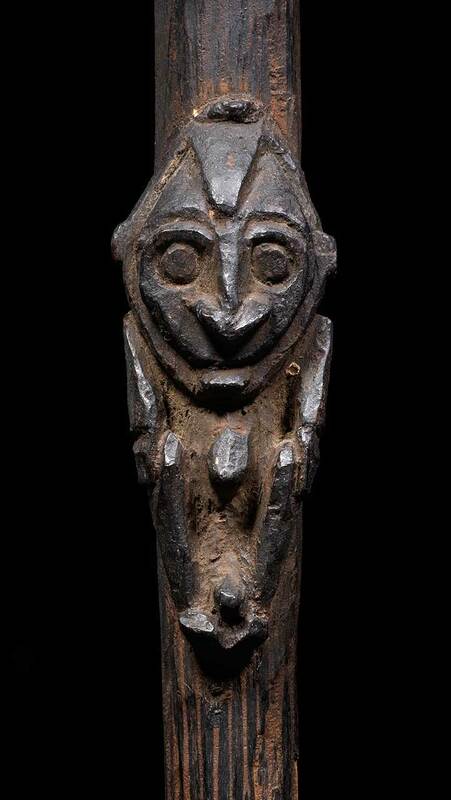 This rare example has an ancestor figure carved in high relief on the what have been the bottom portion of the spear. 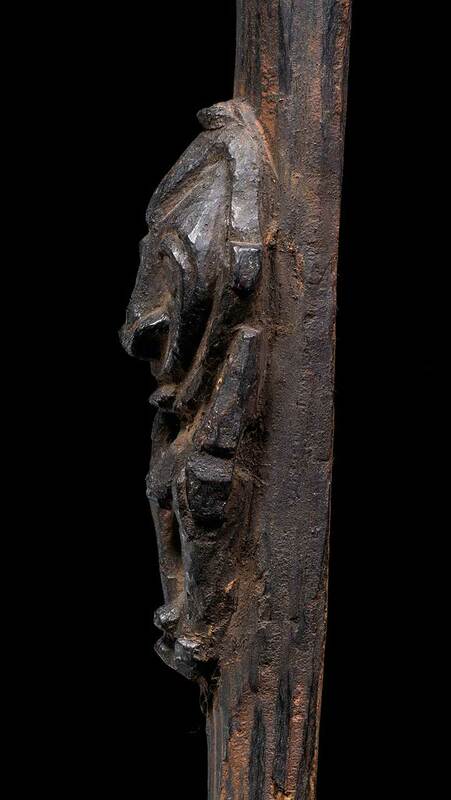 The spear most likely broke from extensive use, but its owner kept the portion with the figure carved on it, and probably used it as a personal amulet.